So, your band's first tour is coming up. It's a very exciting time, but as you may have heard, touring is harder work than you can even fathom. It's one of those things you won't ever quite understand until you've done it. But there are things you can do to help make life a little easier on yourself as you adjust to being stuck in a bus or van for weeks on end with your bandmates. The steps in this first tour survival guide will help you ease into life on the road. There is nothing that will help you more when you're on tour than a tour itinerary. Sometimes an agent will make one for you, sometimes a manager or road manager will, and sometimes it's up to the band themselves. A tour itinerary isn't just a list of the dates you're playing. Ideally, it will include everything you need to know about every day you're on the road. Basic things to put on the itinerary would be the venue name and address, a contact person and a phone number, and email address. You'll also want to include the show schedule, and include not just the time for the show's start, but the times for load-in, sound check, and when the doors open. Do not wake up each day and try to Google Map your journeys on the fly. Know how long the trip is from each show to the next, by doing your mapping before you hit the road. Print directions for each leg of the tour. Being the new band that gets lost on the way to the venue, holds everyone up, and doesn't get a sound check are things you want to avoid. Your first tour is not about getting rich, which is a very good thing considering it's probably going to cost you a chunk of change. Before you hit the road, run the numbers. Factor in your guarantees, so you know what you're earning, then estimate gas costs, set a food budget for each day, and have a little set aside for emergencies, like flat tires. Here's something important: Don't count on door split money to get you from town to town. If you don't have guarantees, be sure you can support yourself on the road, and the extra cash coming in will be gravy. You should have fun while you're on tour, but life on the road can get out of control in a hurry. 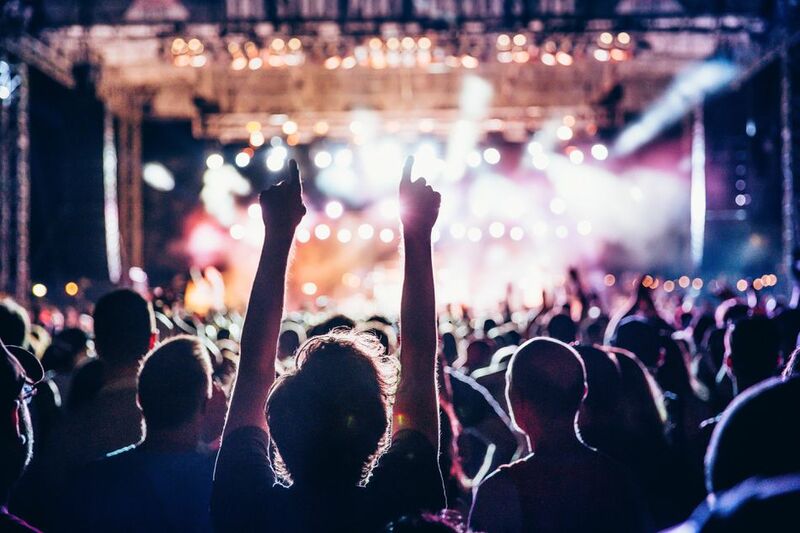 Too much partying will lead to late arrivals, sloppy performances, conflicts with venues and local promoters, in-fighting in the band, and a variety of other problems. Make sure everyone in the group is committed to making the shows the most important part of the tour, and you should do just fine. It may sound like something your mom would say, but it's true: You'll be at your best on the road if take care of your health. Tour budgets lend themselves to the fast food life, and driving for hours on end isn't an ideal part of any fitness regime. However, do the best you can to eat well, sleep well, and move around when you can. Touring is draining, and you'll make it through a little better is you say "no" to the occasional supersize. Eat an apple. You'll be better for it. Remember that all-important tour itinerary? Well, to make it, you'll need to figure out a whole lot of details in advance. When it comes to accommodation and travel book in advance, if you can. Hotel rooms get filled, transportation tickets get sold out, and all sorts of things can go wrong with last minute bookings. Plus, you'll avoid any in-fighting within the group (a major touring hazard) about how to travel or where to stay if you figure that all out before you hit the road. It's common for touring musicians and road crew to get a per diem or a daily allowance for their expenses. When you're new to touring, you may not have enough money to give everyone a per diem, but if you do, decide what it will be up front. If everyone is going to be expected to support themselves on the road, decide up front what you will do with any cash you make from shows. If that money is going to be used to cover group expenses like gas and places to stay, fine, just make sure everyone knows.